Guilt by Association is the debut book of both Marcia Clark (of O.J. Simpson fame) and Mulholland Books (a new imprint of Little, Brown). When I first heard about Guilt by Association, I knew right away I wanted to read it. Experts claim you should "write what you know", and there is an automatic expectation when someone like Marcia Clark (whose career was in spotlight) writes a book. I'm happy to report Guilt by Association surpassed my expectations. Clark's insight into criminal behavior and law enforcement made Guilt by Association very authentic. The characters were likeable - the kind you would want to go out and have a few drinks with at the end of the day. The story was complex and complete. 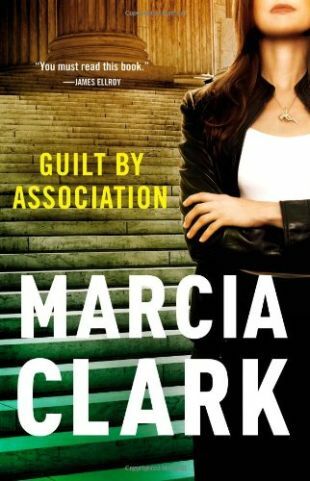 If you are a fan of mysteries, crime fiction, or legal thrillers, Guilt by Association will not disappoint you. Sounds good! I'll have to look for that. I'm pretty excited about Mulholland and their line up of upcoming books. This does sound good. All that stuff really intrigues me. This sounds interesting. I'm always drawn to these types of books. Thanks for sharing!